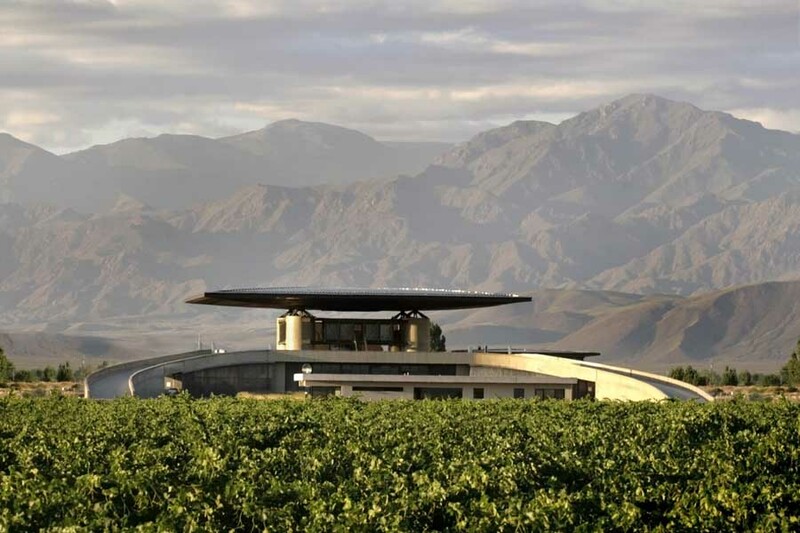 Located in the main wine region of Argentina, O Fournier Winery sits in a vast dry plain cradled by the Andes Mountains, whereby an oasis gives life to miles of artificially irrigated vineyards. The project features four separate blocks in different levels that facilitate a continuous gravityflow system. This design features the ablility to continue building in stages while integrating wine tourism and catering to the client’s needs. The different volumes coexist in harmony with their surroundings in an innovative approach that resulted in two circuits: an effective industrial circuit and a tourist circuit, endowed with beautiful landscapes and architectural experiences. 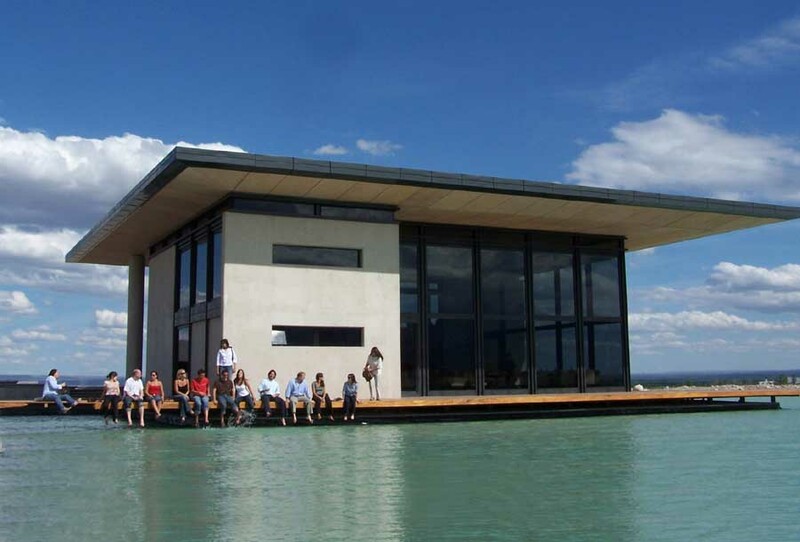 Each of the four volumes, built in reinforced concrete, glass and stainless steel, correspond to a specific function and adapt perfectly to the changing environment and weather conditions. 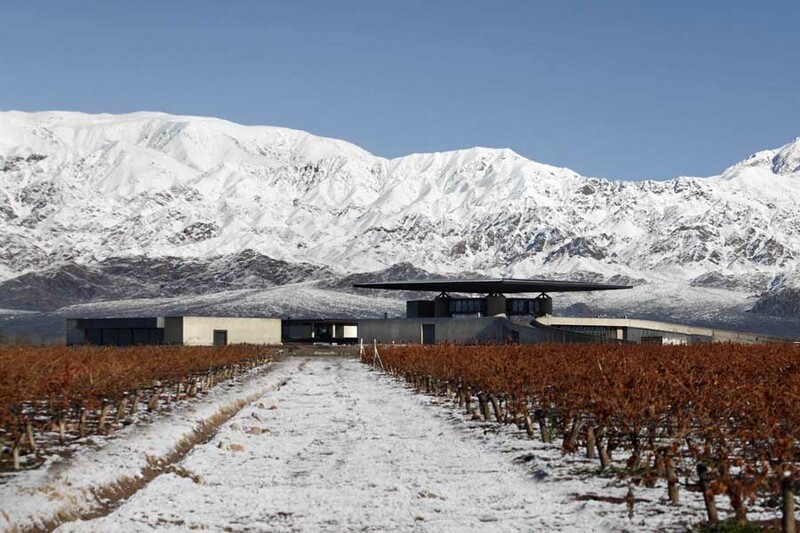 O Fournier follows an innovative architectural concept that seeks to express the very essence of XXI Century New World Wines while promoting a strong corporate image. Vintage Terrace: The terrace is embraced by two ramps on either side, sheltered by a steel cantilever umbrella cover. It comprises a central lab with iron and glass bridges and other annexes, and a central skylight that lights up the lower structure. 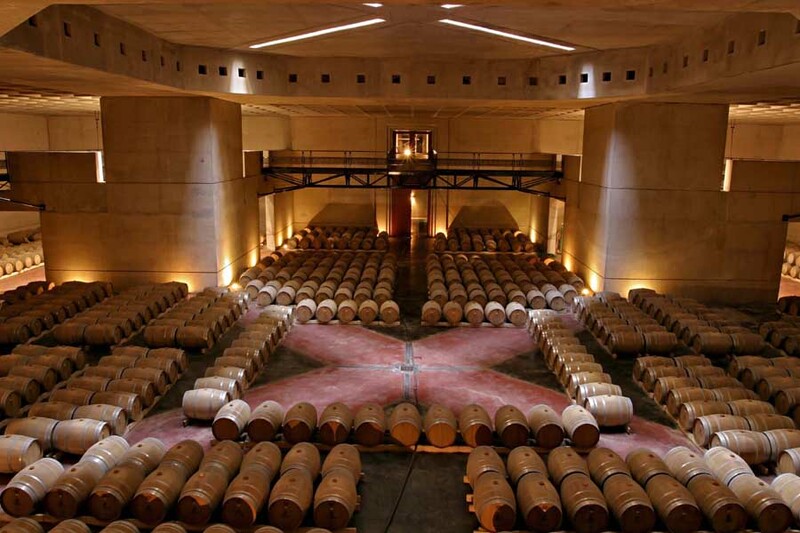 Wine Cellar: The cellar is located underground just below the winery’s central core, which is the reception area of the winery. 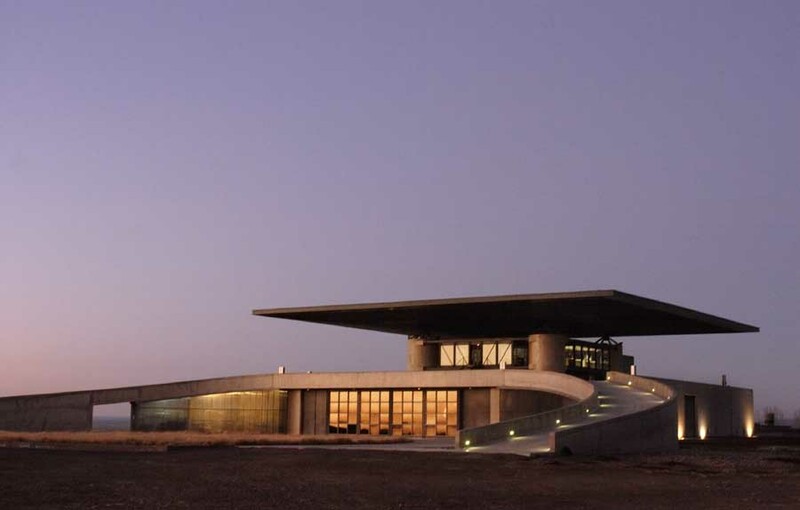 Its distinctive concrete structure creates a cross sectional skylight. There is an iron catwalk, elevated off the ground, which diagrams the visitors’ circuit route. Visitors’ Centre: The visitors’ centre consists of a bi leveled glass structure connected to the cellar and a deck, just above the irrigation pond overlooking the majestic Andes. – Main Contractor: Millenium S.R.L.